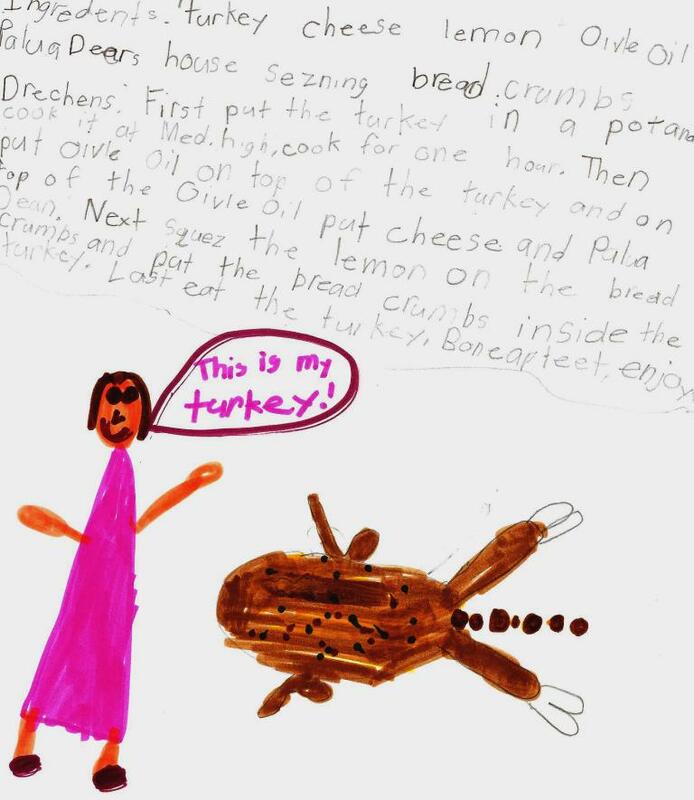 Every year I have my children write out their own recipes for "How to cook a turkey." Giggles never fail. 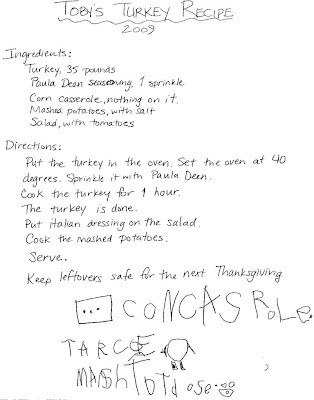 Every year I have my children write out their own recipes for "How to cook a turkey." Giggles never fail. And finally, a profession of why this is the greatest holiday. And another reason why I shouldn't try to write anything at 11:30PM. 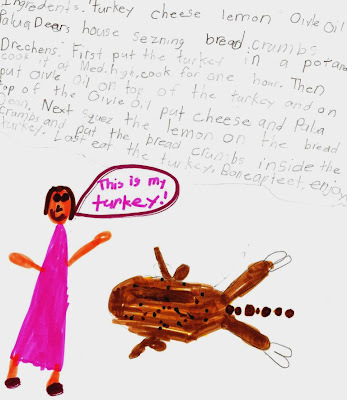 It would be worse though, if it was after eating the turkey. And the weather's always sunny. Puts us all in a spirited mood. Because Thanksgiving is for me. WIth our neighbors and our friends. And then we eat again. And Thanksgiving is for me. 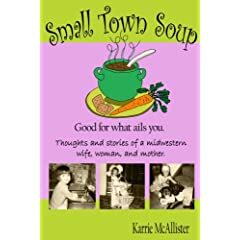 The great food and love that we all share. Your St. Patrick's and Valentines, too. And I'll save a spot for you. Before the rush of Christmas starts.